With all the benefits of wool, this mattress topper will help keep you cool when warm and warm when cold, along with helping add another layer of defense, from dust mites and other bedroom allergens. Stitched in a panel frame, the wool stays in place and wont move around and can simply be fitted into place, with elasticated straps to ensure it stays tight to your mattress. 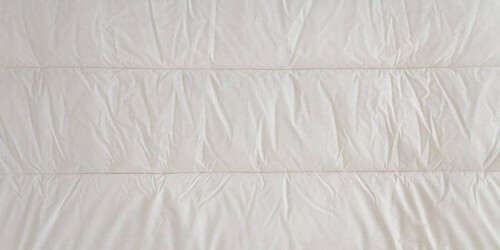 Also machine washable, this wool mattress topper is easy to care for.